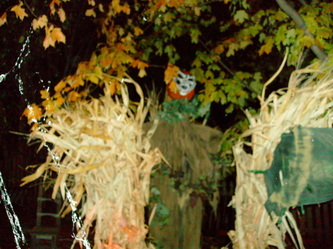 For 2012, the Tourers ventured father north than ever before, making their way close to the Wisconsin border. 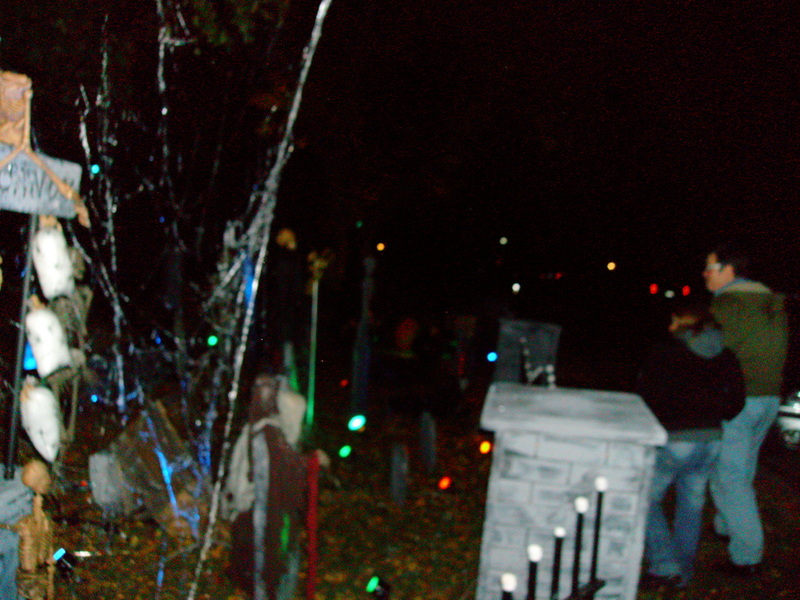 Along the way, several excellent new haunts were discovered, including this one. 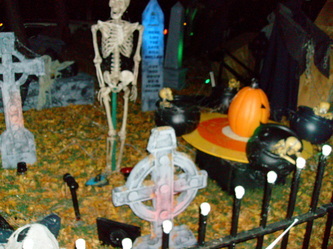 Canyon Trail Cemetery is an elaborate yard display featuring numerous animated and static props, including ghosts, skeletons carrying a coffin, and giant Jack-O-Lanterns. 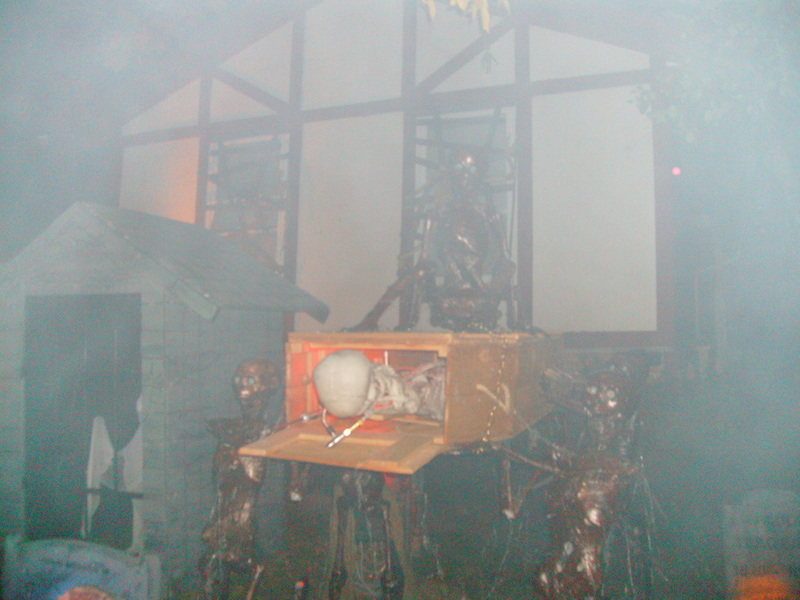 The operators offered some nice twists to some standard props, including modifying the skeletons carrying the coffin prop to include a skeleton corpse that popped out of the coffin. 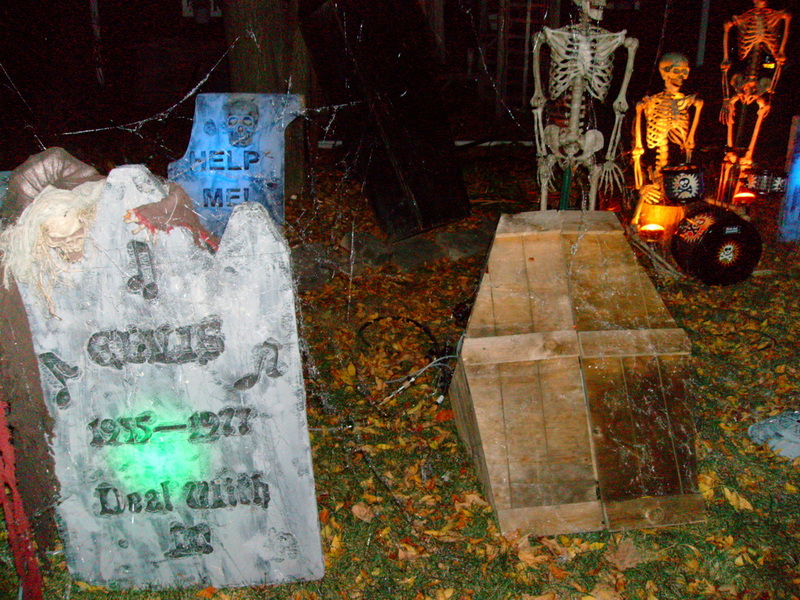 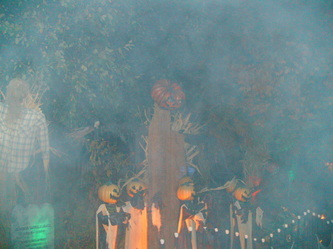 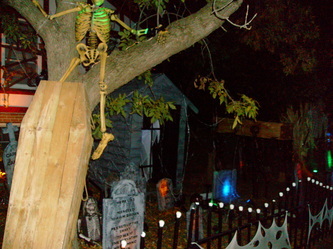 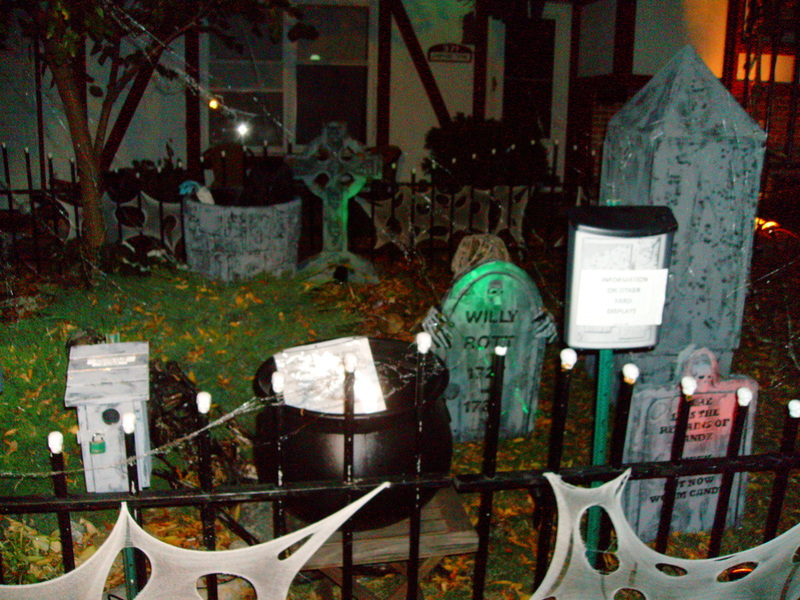 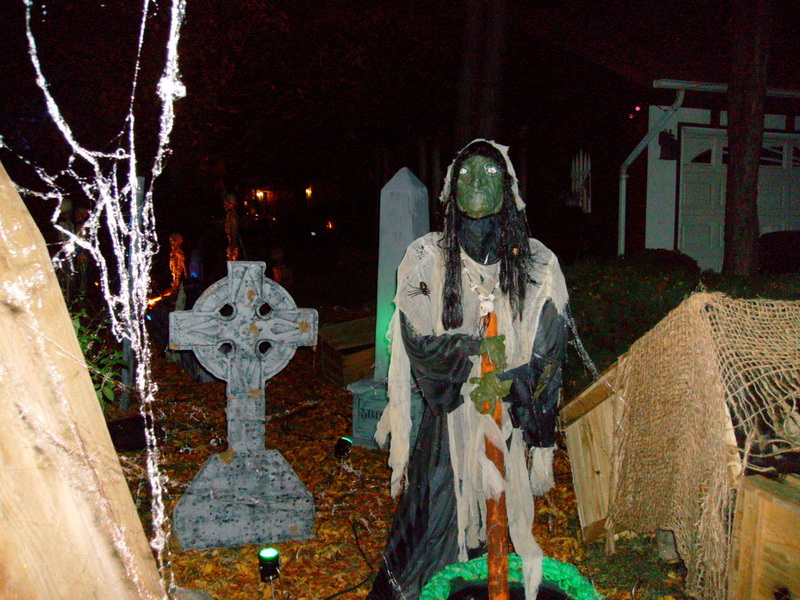 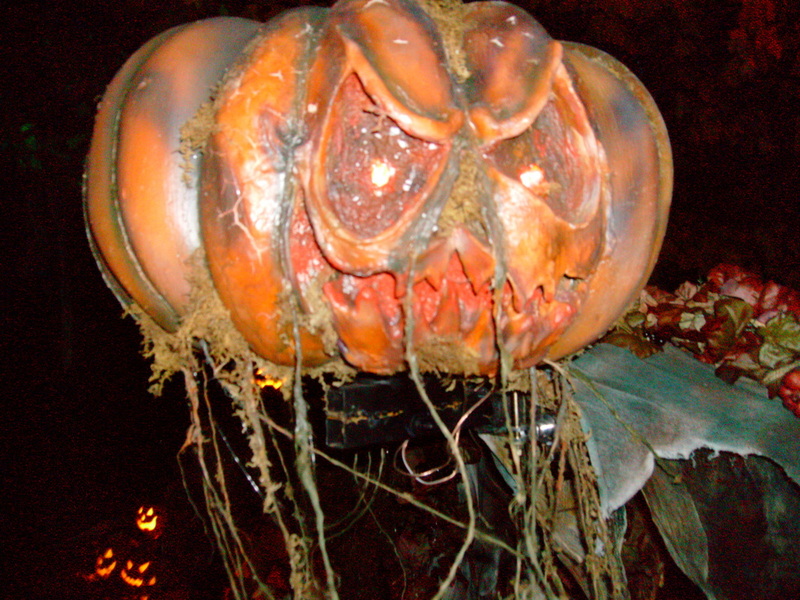 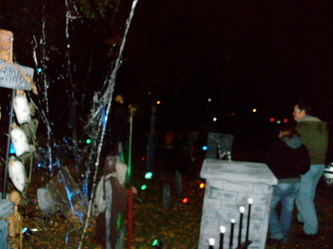 Additionally, this haunt features a number of handmade props unique to this display. 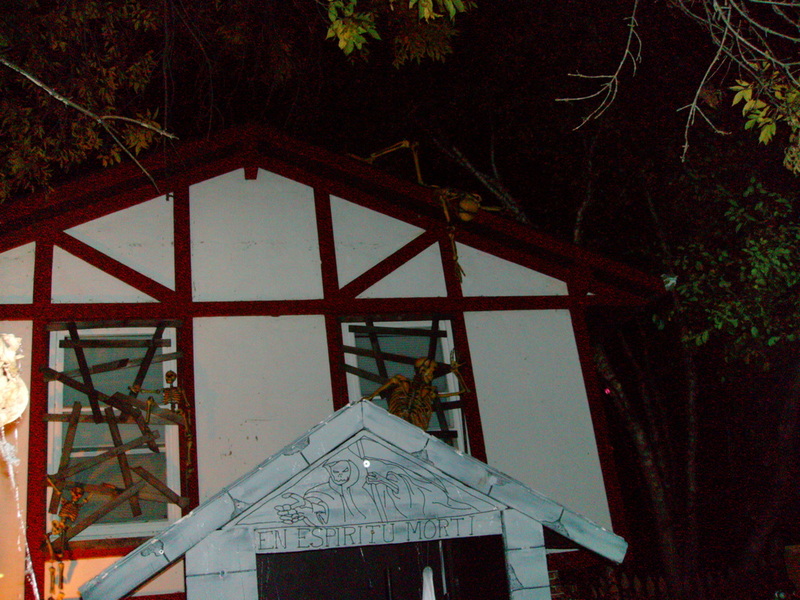 The artwork and carving is done by the wife and the animatronics are done by the husband. 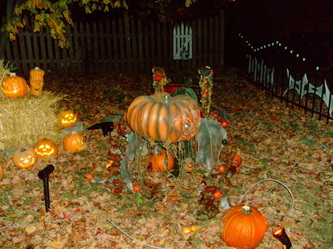 This teamwork results in some fantastic props that cannot be seen anywhere else, including a giant pumpkin headed figure that appears and disappears behind some equally large corn stalks and one of our favorite proper ever - a four-limbed Jack-O-Lantern headed doglike figure with glowing red eyes that crouches down on all fours, then rises up and turns his head left and right. It is simply a fantastic melding of creative art and pneumatics. Overall, this haunt has something for everyone - it is certainly family friendly, and is worth an evening's drive just to see it. 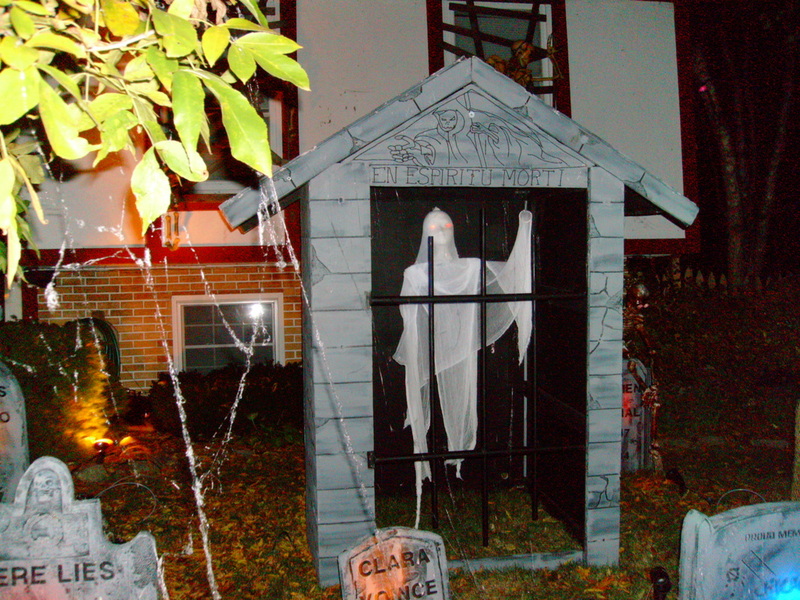 We could easily envision this display expanded into a fantastic home haunt. 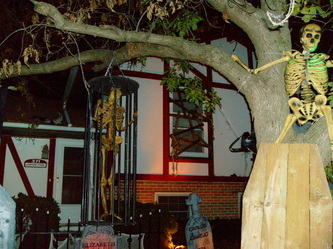 The photos in this article simply do not do this haunt justice, so you need to see it for yourself. Make it a point to add Canyon Trail Cemetery to your haunt list for 2013 and beyond!